Obama lied. 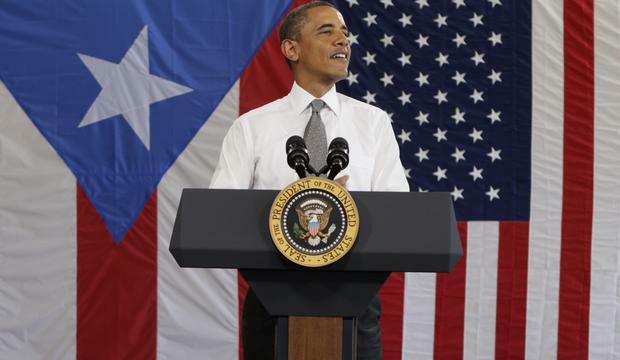 Obama knows that Puerto Rico’s solution is not whatever the Puerto Rican people decide for their political status. That is the US’ standard lie to maintain Puerto Rico as its colony. The real answer is that the United Nations (UN) decided what a nation that has a colony must do when it drafted its Charter in 1945. The UN Charter makes it clear that no nation should have another nation as her colony, and thus the solution is decolonization. That means that the empire must release the colony from its control. The fact of the matter is that the US government has been violating the UN Charter for 73 years! Moreover, the US government has violated 37 UN resolutions asking it to immediately return Puerto Rico’s Sovereignty to the Puerto Ricans. Obama is a brilliant man, and he knows that. The Puerto Rican reporter does not, because most Puerto Ricans know only the history that the US government wants them to know. And that history is designed to keep Puerto Rico a US colony forever!